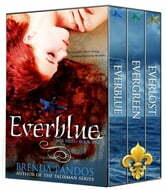 Fall in love with the series readers say is, "Full of excitement, adventure, and romance. This series will capture your attention from beginning to end." Seventeen-year-old Ashlyn Lanski is tired of her boring, single life. Swimming and spending time with Tatiana, her best friend, are her only sanctuary. The girls plan to leave their drab lakeside town far behind for college, and Ash hopes to finally ditch her longtime crush for Finley, Tatiana's twin brother. But when Tatiana and her family fail to return home after a family emergency, Ashlyn chooses to do something drastic to cope with losing them. Finley Helton and his family are good at blending in as they run their sailing charter business in Lake Tahoe. But together, they guard an ancient secret. When a not so routine meeting forces Finley, Tatiana and their mother to return to Natatoria and Fin's father on a dangerous mission, Fin can't stay caged up for long. 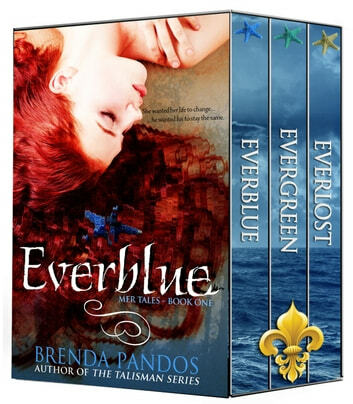 Book 2 - Evergreen, winner of BEST I'VE READ at Books Complete Me and Once Upon a Twilight. Amazing story! I was hooked (no pun intended) from the beginning! Incredible writing with lots of twists and turns. Keeps you guessing! A fantastic read, I really enjoyed each book of the trilogy and need my fix with the continuing storyline! There were some unexpected story plots, it was a easy to read through, I didn't want to put it down!